Would you like to convert your Facebook visitors to buyers and subscribers? What is the way forward? It is very important to have followers for your website and business since it helps you grow, increases popularity and helps to build trust among your visitors and fans. The question however remains, how do you increase your Facebook group members from 0 to 10,000 when you don’t have followers? Many people might want to improve their members but do not understand the best way to do it. Here are a few tips. Promoting your page is very important if you want to increase your Facebook group members without followers. If you have accounts on other social media platforms such as google or pinterest, you can ask your followers to follow you on Facebook and join your group. Explain to them the benefits of joining the group or the incentives offered. Twitter, Instagram, newsletters, emails and other social platforms can also serve the purpose efficiently. You can send your friends personalized messages asking them to join your group or follow you on Facebook. Although it might take time, this is an efficient way to increase members from 0 to 10,000 when you don’t have followers. 2. Optimize your Facebook page. Work on optimizing your business page by choosing a friendly username, writing a catchy description and by providing accurate information for long description of the company. Providing information such as the company overview, the goals, objectives and the mission of the company is necessary. Other than that, posting interesting content is the most important optimization tip. It will attract fans to your account and keep them glued to it. For instance, if you are targeting the elderly or the sick then post things that relate to their health, body or way of life. 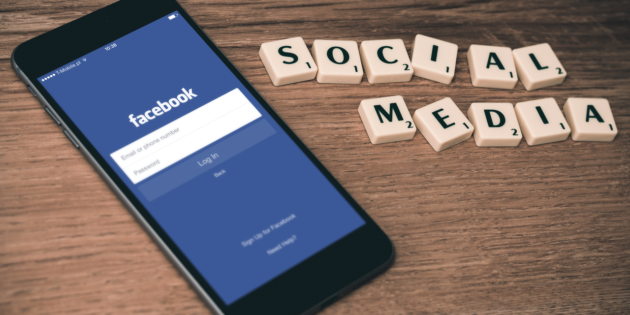 Why is it important to advertise on Facebook? Do you get attracted to Facebook ads that pop on your timeline every time? This is one of the easiest and most effective ways to increase your Facebook fans although you might have to incur some costs. When you advertise on Facebook, you increase your fans, boost your posts and increase conversations on your page. Consequently, your page becomes busy increasing the chances of attracting more fans compared to when it’s less busy. The best part about running Facebook ads is that, you are able to get more likes which promotes your page significantly. This in addition attracts followers making it possible to gain over 10,000 members in a short span of time. If you want to test the validity or efficiency of Facebook ads, you can run a pilot campaign for a number of days and watch the results. You will not be disappointed! If your adverts are interesting, then more visitors will hit the LIKE button increasing the traffic on your page. Investing on ads is a good thing to consider if you want to grow your Facebook page. Think about it! You can use your personal account to attract members to your Facebook group. However, to improve traffic on your group you need to start sharing relevant content that keep them happy and engaged. This will attract them to your new page easily. To keep them streaming in there are some rules you need to observe. i. First you need to ensure that you remain relevant with little promotional content to avoid driving your fans away. ii. Create a balance between promotional information and content that your followers to be might want to read. Why should someone join your Facebook page? In order to create over 10,000 group members without followers, offering incentives can help attract funs to your account significantly. How can you do this? I. Offer quality updates: This is one of the best incentives you can give to your users by ensuring that the page provides value. This will attract followers to your page who with time will share with friends thus causing an increased traffic. II. Upgrade content – To increase traffic on you page, you can ask users or friends on other social platforms to like your page in order to get an updated version of your advert. III. Promote your page – Run contests on the page and give away gifts or presents to people who LIKE the page first. This may incite people and attract them to your page. Having a huge number of Facebook fans is very important for promotional purposes and credibility. However, to grow your page you don’t need to have many followers. All you need to do is attract people to your Facebook page and encourage them to hit the like button. This will increase traffic making it possible to create over 10,000 group members in a short span of time. All the best! Sign up for my blog updates and never miss a post. I’ll send you a FREE marketing guide eBook as a thank-you.